Making Magnolia Blossom’s annual fall Big Splash Saturday is scheduled for September 15, and volunteers from the campus and community are encouraged to register online at www.MagnoliaBlossom.org/Register. 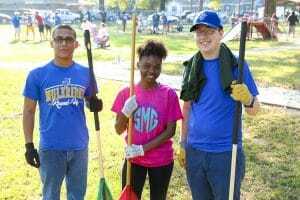 Big Splash Saturday events are held each spring and fall from 9 – 11:30 a.m., with projects big and small throughout the community. When volunteers register online as an individual, family or group, a project can be selected and they will receive instructions on where to arrive the morning of the event. One of the primary projects this fall is being planned in coordination with the Magnolia/Columbia County Chamber of Commerce and downtown merchants – painting of the alley on the northwest side of the square behind Stephens Country Store down to the new SAU Beyond the Campus store. The Rankin College of Business, with its students playing an integral part in opening and operating SAU’s new store, has adopted this project and are coordinating volunteers. A shuttle will transport students and any volunteers who need a ride to the various project locations. It will depart from the SAU Reynolds Center parking lot at around 9 a.m. Making Magnolia Blossom T-shirts will be given to volunteers while supplies last. 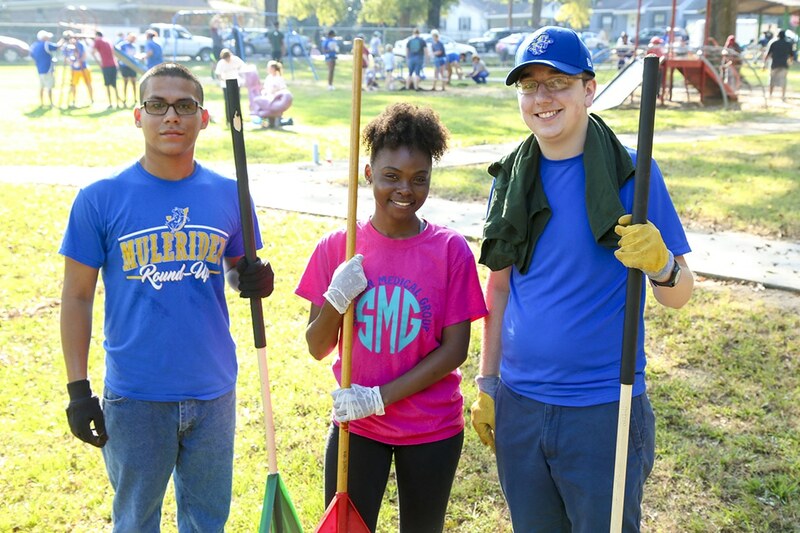 Previous Making Magnolia Blossom (MMB) events have organized hundreds to make improvements along primary city streets, at local public areas and non-profit organizations and around the downtown square. MMB is a community-involvement organization established in at SAU in 2014. To get involved in MMB, visit www.MagnoliaBlossom.org or contact Deana Taylor at (870)235-4922 or deanataylor@saumag.edu.